Gunboats, subways, and the good ol' Rhino tank. No matter how many cops you shoot or prostitutes you pick up, a Grand Theft Auto game just isn't a Grand Theft Auto game without a bunch of cool (and not-so-cool) rides to jack. Fans have discovered a list of land, sea and air vehicles from the upcoming GTA5 in a very surprising place - the files of Rockstar's Max Payne 3. Enterprising and tech-savvy GTA aficionados at sites like GTA Forums and NeoGAF found names and stats for GTA5's vehicles and compiled them into a handy list, seen here below. The roster is mostly what we've come to expect from Rockstar's crime-based blockbusters - the Infernus sports car, the Patriot HumVee, and the Rhino tank to name a few - but there are some interesting new names. In GTA5, you may well be able to fly a Mil Mi-24 "Hind" attack helicopter, or drive an armed Gunboat. You can operate a subway or flatten cars with an APC (presumably stolen from the military). It also seems that GTA5 will have either a winter time frame or a ski resort area, judging by the "chairlift," "skimobile," "snowplow" and "bobsleigh" entries (that's "bobsled" here in the States, for the record). The list is still being compiled as fans discover new entries like a Harrier jet, monorails and even go-karts. 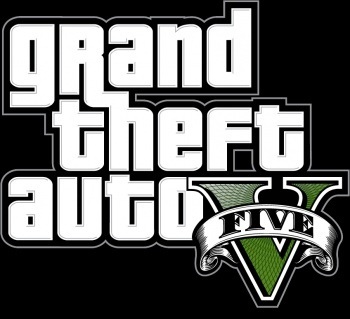 It's certain that by the time GTA5 comes out, we'll have plenty of methods of transportation to wreak havoc on the city. What I want to know is what this info is doing in Max Payne 3. Does it have any purpose in that game other than to act as a viral tease for Rockstar fans who might go snooping around in the data? Any purpose at all? If it does, I can't for the life of me imagine what it is.